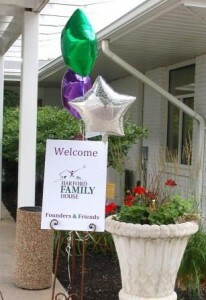 Harford Family House Aberdeen Transitional Housing, permanent supportive housing. Class of Housing: Transitional Housing, permanent supportive housing. This one year program moves a family from homelessness into safe, basic and decent housing. A fully furnished one or two bedroom apartment greets the family as they begin their journey towards self-sufficiency. Once stabilized, the family can begin to work on their individual goals which may include: credit repair; increasing marketable job skills; finishing a GED program; finding employment; and addressing medical and mental health needs, positioning the family for independence and self-sufficiency. Families who have one family member with a diagnosed disability are eligible to receive permanent supportive housing. The goal is the same: to transition these families to permanent stable housing and a better life. This may take longer than a year and look differently because of the increased barriers families with disabilities face. Families in this program work on individual goals which may include: obtaining disability benefits; applying for subsidized housing programs; participating in supported work programs; and stabilizing their medical and/or mental health needs. Posting Comments below is for viewers on this website only. If you have information that can help users regarding Harford Family House Aberdeen, please provide it below.